Dr Yuval Elani leads the Soft Microsystems Group as an EPSRC Research Fellow in the Department of Chemistry. In under four years he has been awarded 3 Fellowships totalling c. £700k, and helped secure > £2.5 M of funding. He is an expert in soft-matter, opto- and microfluidics, synthetic biology, and chemical biology. His research centres on constructing soft chemical microsystems that can be interfaced with biology, and on the bottom-up construction of artificial cells that resemble biological cells in form and function. How artificial cells can be engineered to perform bespoke and biotechnologically useful functions as synthetic soft-matter micromachines in a suite of industrial and clinical applications. Yuval is co-investigator of the Membrane Biophysics Platform, is co-founder and member of the executive of FABRICELL, and is Associate Editor of Experimental Biology and Medicine. 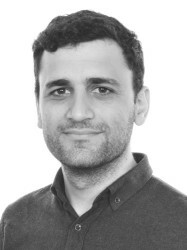 Yuval sits on the management team for the Leverhulme Centre for Cellular Bionics, and has published extensively in the areas of synthetic biology, biointerfaces, and soft-matter biotechnology. His work has been recognised by the UK Parliamentary and Scientific Committee who awarded him the Roscoe Medal and Gold Award, and by the World Economic Forum, who selected him to be part of their Young Scientist Community (50 under 40 worldwide). He is also the recipient of the IC Lord Porter Prize, the Royal Society of Chemistry Rita and John Cornforth Award, and holds a prestigious EPSRC Fellowship to conduct blue skies research. Yuval sits on the EPSRC Early Career advisory board for Engineering. Please feel free to get in touch if you like to speak about early career matters or would like him to relay any messages to the Research Councils. Yuval’s academic training was at Cambridge University where he read Natural Sciences as an undergraduate, and at Imperial College London, where he completed a multidisciplinary MRes studying drug/membrane interactions and a PhD on developing microfluidic technologies for the generation of compartmentalised cell-mimetic microreactors. This was followed by a Doctoral Prize Fellowship, completed in 2016. Yuval is affiliated with the CAPITALS programme and the Institute of Chemical Biology, and is keen to explore collaborations across the physical and biological sciences, as well as with industry. Fusing living and non-living matter to construct cellular bionic hybrid cells. Scientific Reports , IFL Science. We have 2 fully funded PhD positions available to start in Oct. 2019. Please get in touch directly at y.elani@imperial.ac.uk if interested. If you are a talented and dedicated scientist that is interested in joining the group as an MSci, MRes, UROP, or PhD student, please get in touch. Prospective PhD students should be aware of the President's PhD Scholarship Scheme, Schrödinger Scholarship Scheme, China Scholarship Council, and Imperial Marshall Scholarship. We have accepted MRes students from research programmes in Chemical Biology, Plant Chemical Biology, and Nanomaterials in the past, but those on other courses who would like to work with us are welcome to get in touch.